One way of achieving comfort is by direct evaporation of sweat with air movement through ventilation openings. In many parts of the earth, in some months of the year, local cooling of a building can be achieved with natural ventilation. This is achieved by allowing air that is colder than the building to enter the building. Doing so removes some of the heat stored in the building. 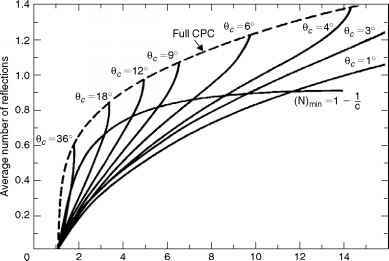 The reduction of cooling load varies from 40% to 90%. The lower number applies in warm, humid areas and the larger in mild or dry areas. Natural ventilation also has some disadvantages: safety, noise, and dust. Safety is not a considerable issue but creates extra cost to protect the ventilation openings from unauthorized entry; noise is a problem when the building is located near a road, whereas dust is always a problem but is more pronounced if a building is located near a road or in open fields. 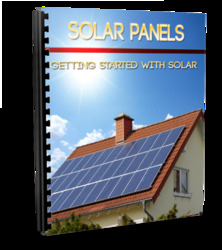 The main objective of natural ventilation is to cool the building and not its occupants. Opening areas that are about 10% of a building floor area can give about 30 air changes per hour, which can remove considerable quantities of heat from the building. In some cases, such as office buildings, natural ventilation is used during the night when the office is closed to remove excess heat; thus, the building requires less energy to cool during the next morning. This is usually combined with thermal mass effects, as explained in Section 6.2.1, to shift the maximum heat dissipation from the walls and roof during the night, where it can be removed by natural ventilation and thus lower the cooling load during the day. 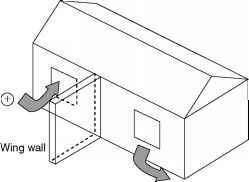 FIGURE 6.9 use of a wing wall to help natural ventilation of windows located on the same side of the wall. wall with respect to the windward side, the air creates a negative pressure, i.e., suction. A smaller amount of suction is also created on the leeward site of the building, due to eddies created from the wind. Therefore, an effective system is to allow openings in the windward and leeward sides, so as to create good cross-ventilation. It is usual to install insect screens to avoid having insects in the building. When these are used, they must be placed as far as possible from the window frame because they reduce the air flow by an amount equal to their blockage. It should be noted that the presence of windows on two walls does not guarantee good cross-ventilation unless there is a significant pressure difference. 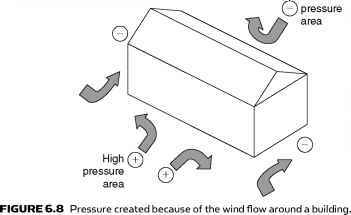 Additionally, buildings with windows on only one external wall are difficult to ventilate, even if the wind strikes directly on these windows. In this case, ventilation is facilitated by having the two windows as far apart as possible and using devices such as wing walls, which can be added to the building exterior with fixed or movable structures (see Figure 6.9). The objective of the wing wall is to cause one window to be in the positive pressure zone and the other in the negative. If the inlet window is located in the center of the wall, the incoming air jet will maintain its shape for a length that is approximately equal to the window size and then disperse completely. If, however, the inlet window is located near a side wall, the air stream attaches to the wall. A similar effect is obtained when the window is very close to the floor or ceiling. In warm areas, the objective is to direct the air flow toward the hot room surfaces (walls and ceiling) to cool them. The relative location of the outlet window, high or low, does not appreciably affect the amount of air flow. For better effects, it is preferable to allow outside air to mix with the room air; therefore, the outlet should be in such a location as to make the air change direction before leaving the room. To create higher inlet velocity, the inlet window should be smaller than the outlet one, whereas the air flow is maximized by having equal areas for the inlet and outlet windows.